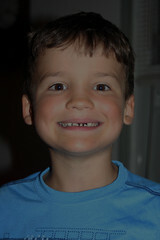 Another Delco Guy In South Jersey: First Tooth Gone! well. . .when I was al ittle girl, she somehow gave them to my mom who kept them in a tiny box in her jewlry box. . ICK. Were you worried that he hadn't lost any teeth yet?